Empower young people who are less privileged as you are! 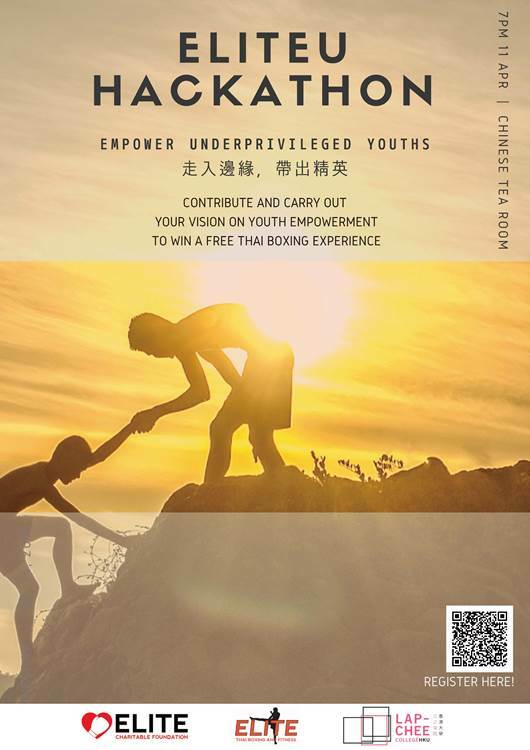 Join this collaborative event with Elite Charity Foundation and Elite Thai Boxing and Fitness, supported by the Hong Kong Federation of Women Lawyers. The event aims to explore the future of local youth empowerment through digital means. Engage in discussions in groups and present your idea. Come hone your charity event planning skills! Light refreshments will be provided with a chance of winning a FREE Thai boxing experience! Interested parties may also apply to be a friend of the Hong Kong Federation of Women Lawyers!